Special thanks to The Barn for extending this food review invitation. 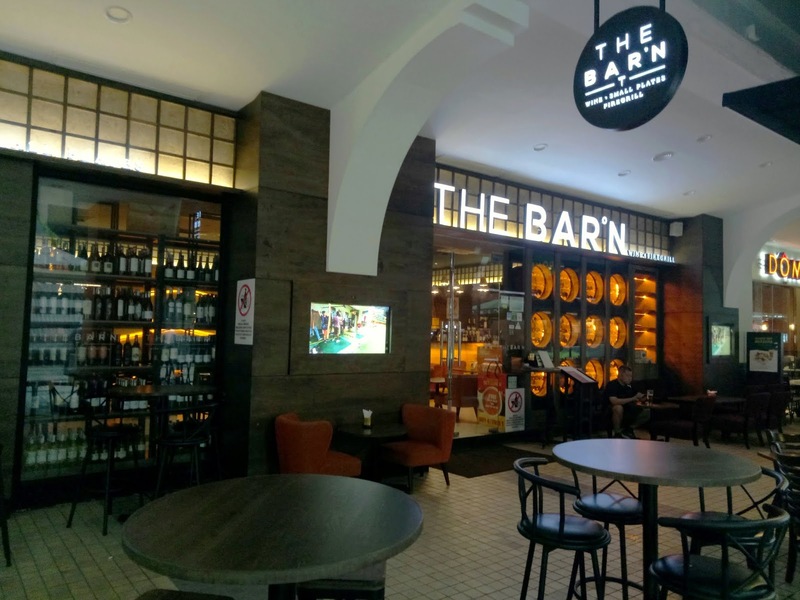 The Barn is one of the several eateries at the exterior section of Gurney Plaza. It is a combination of a wine bar and a grillhouse. 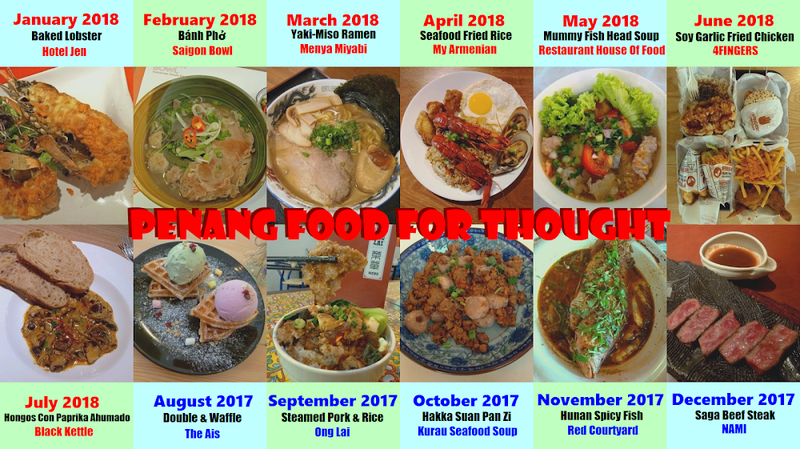 While The Barn has several restaurants in Klang Valley, this is the sole outlet in Penang. 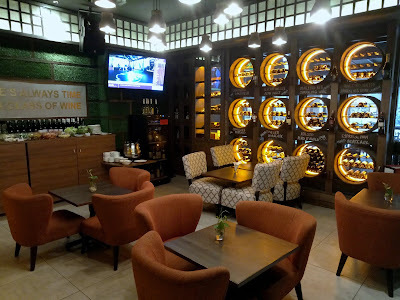 The dining section presents a comfortable ambience for casual dining. The place feels welcoming even for families with children. Meanwhile, the back section uses dimmer lighting to present a more secluded setting. As for customers who prefer al fresco dining, there are also several dining tables outside the restaurant. The Barn is renowned for its fine range of wines, boasting over 200 labels from around the world. 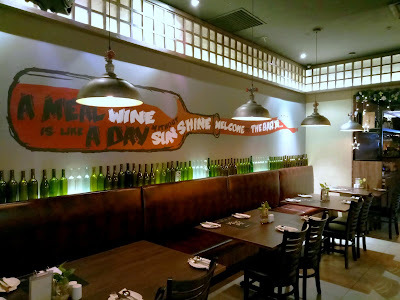 Although most wines are sold by the bottle, house wines are also poured by the glass. 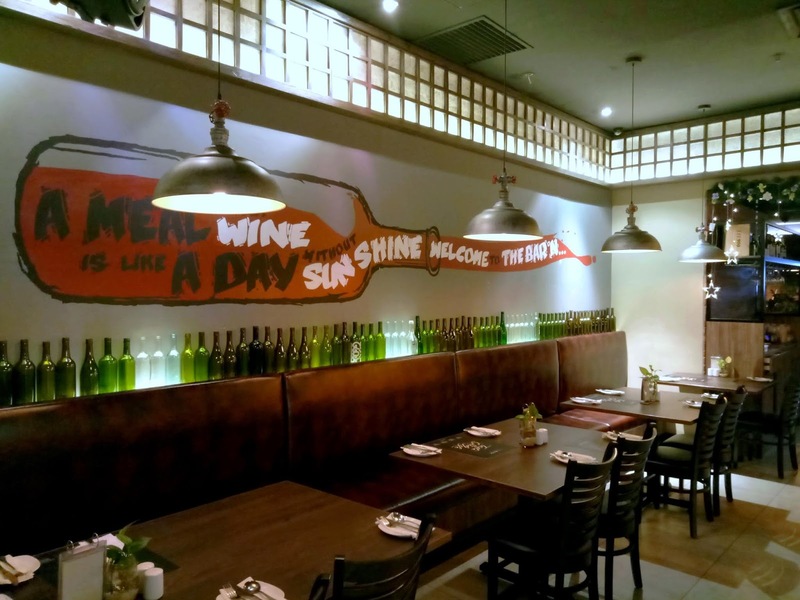 The Barn aims to make wines more affordable to the general clientele. For a limited time, The Barn is having the Meat Indulgence promotion. 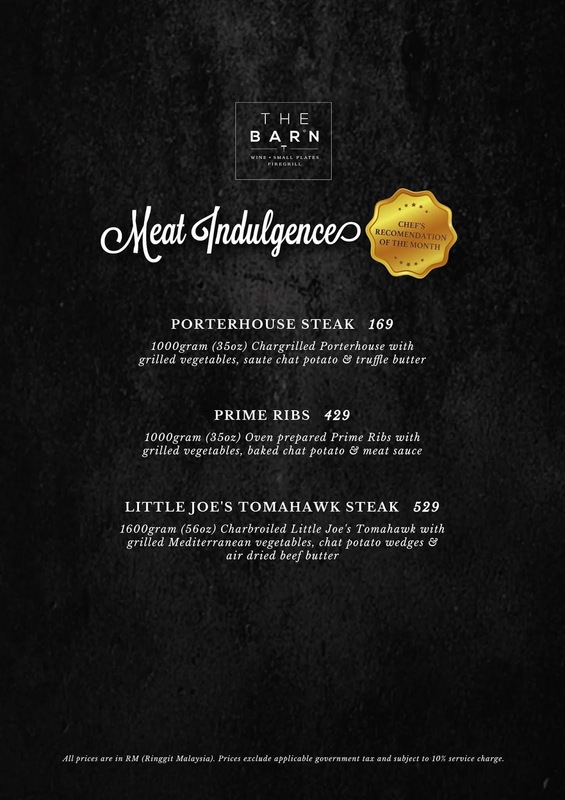 This seasonal menu features 3 exquisite beef dishes: Porterhouse Steak, Prime Ribs and Little Joe's Tomahawk Steak. Using premium Australian beef, each dish comes in a humongous portion and is ideal for sharing among 4 or 5 people. 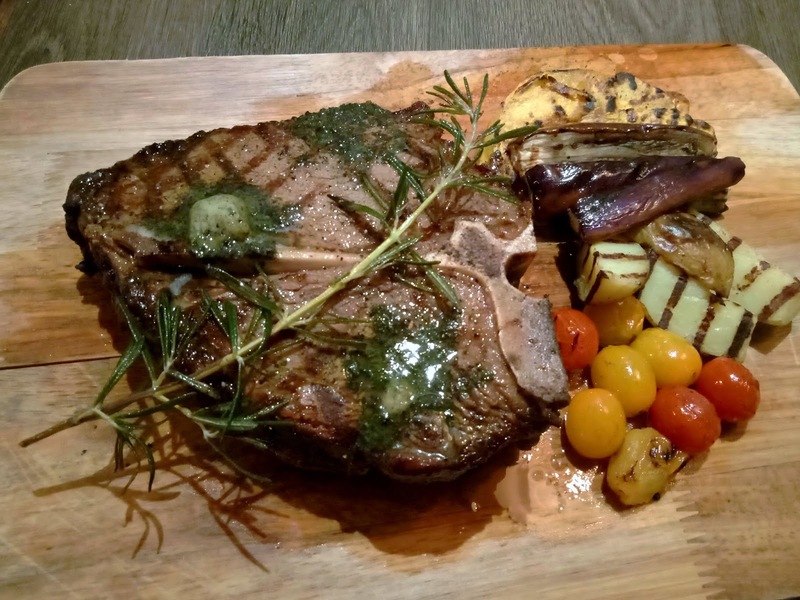 For instance, the Prime Ribs (RM429.00) packs 1,000 grams of scrumptious meat. The beef is first baked in a preheated oven for over an hour, and then gently grilled over fire so that it retains most of its juiciness. The meat near the rib bone is exceptionally delectable. Served on a large wooden steak board, the Prime Ribs are gradually oozing natural juices from within. Meanwhile, the accompanying meat sauce has a rich, savory taste that is extremely gratifying. Other side dishes are grilled vegetables and baked chat potatoes. A rosemary sprig serves as a garnish. The Porterhouse Steak (RM169.00) is another interesting choice. 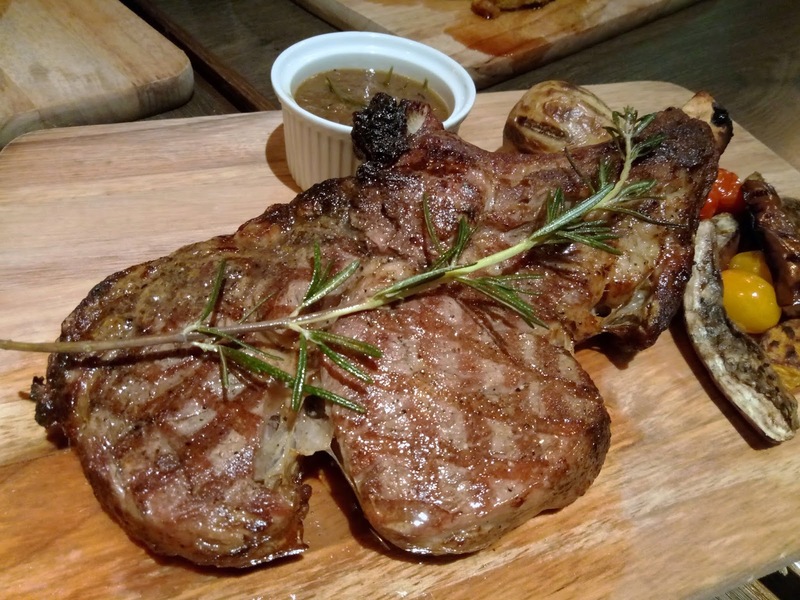 Also known as T-bone, the porterhouse has a distinctive T-shaped bone at the center. Compared to the ribs, this beef cut has a denser texture as it contains more lean meat. The recommended doneness is medium. The Porterhouse Steak is flavored with truffle butter to impart an earthy aroma. On the side, there are grilled pumpkins, eggplants, cherry tomatoes and baby potatoes. 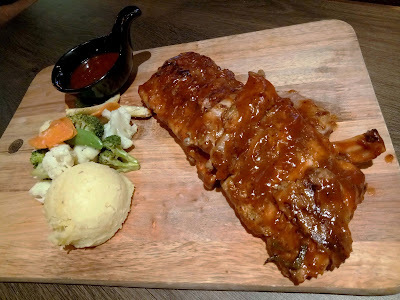 As for diners who do not take beef, the BBQ Baby Back Pork Ribs is a recommended alternative. The pork ribs are flambéed just before they are served. In addition to the awesome spectacle, this tableside presentation also gives the pork a touch of toastiness. The lovely pork ribs are basted with sweet-tangy barbecue sauce, making them succulent to the last morsel. 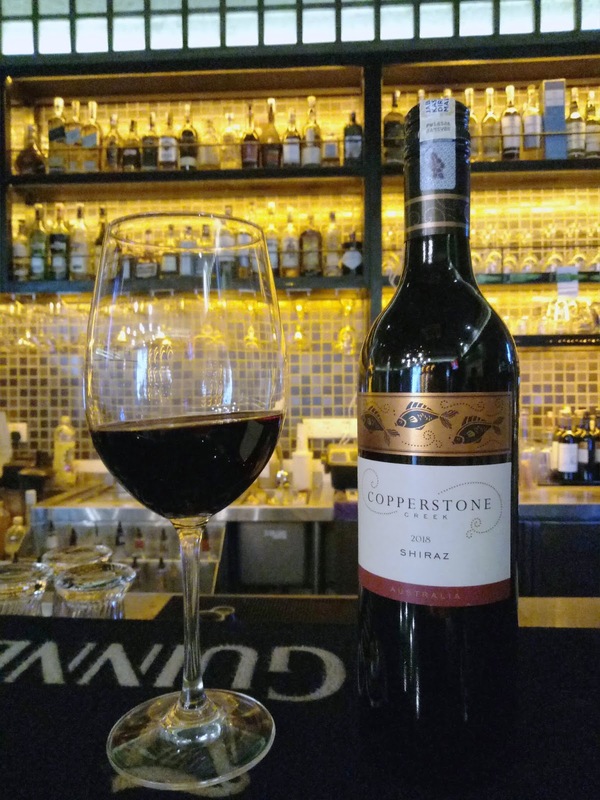 Red meats are customarily paired with red wines. 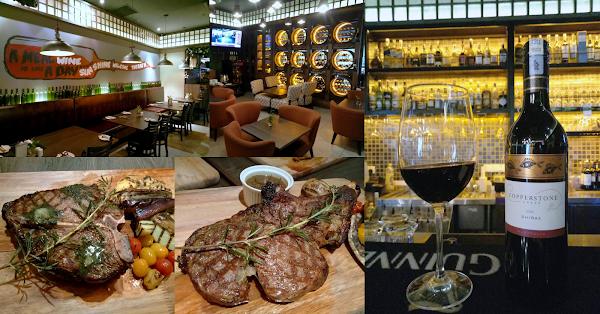 The Barn pours house wines by the glass for as low as RM19.00. Today's choice of red wine is Copperstone Creek Shiraz from Australia. The berry-like sweetness of the wine keeps the palate attuned to the flavors of beef. The Meat Indulgence menu was originally meant to run for a month, but due to overwhelming response, the promotion has been extended through November 2018. 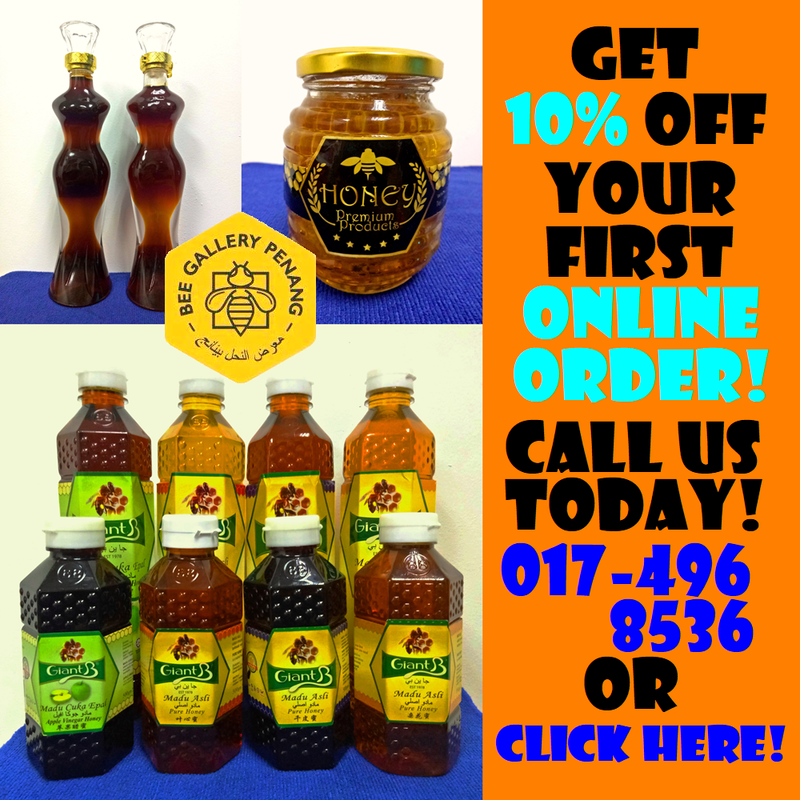 Because it takes over an hour to prepare and cook the steaks, advance ordering is highly recommended. I urge the devoutest carnivores of the land to visit The Barn and savor the fine Australian beef here. Directions: The Barn is located at Gurney Plaza's outdoor piazza, directly facing G Hotel. Gurney Plaza has basement and multi-level parking garages.